Come to a one-day carving class with David Tuttle of the Green Mountain Woodcarvers. 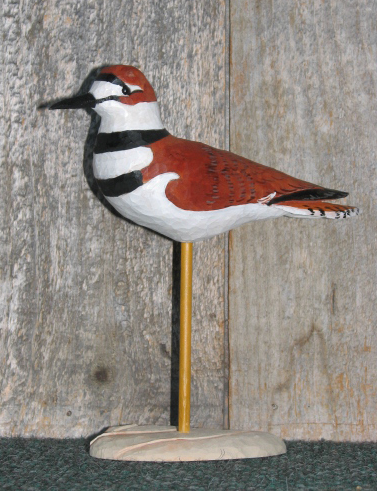 We will carve and paint a Killdeer. Wood blank, eyes, snacks, and coffee provided. Pre-register by email museum@birdsofvermont.org or phone 802 434-2167 . Please bring your lunch; we will provide coffee, tea, snacks. This entry was posted on June 10, 2014 at 12:04 pm and is filed under Carvings and Displays, Classes. You can subscribe via RSS 2.0 feed to this post's comments.